Download Free Poster Canvas Mockup PSD. 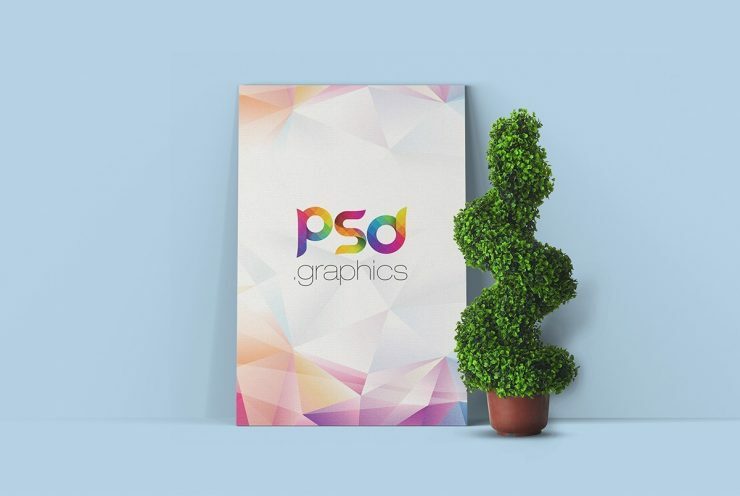 If you looking a mockup template for your Art Canvas, Poster, Picture/Photo or flyer design presentation in the unique way than this Poster Canvas Mockup is perfect for you. You can also use this poster canvas mockup in order to catch people and your client’s attention and give your poster design presentation a photorealistic appearance. This Poster Canvas Mockup is best for any photographer, artist or graphic designer who wants to showcase their work in a realistic indoor environment. In this poster canvas mockup template there are other real still life objects around the frame to enhance the beauty of the scene. Whether you sell prints or just want to show your clients how their photos will look framed, you gonna love this Poster Canvas Mockup PSD. The free Poster Canvas Mockup Template file contains perfectly placed smart-object layers which allow you to quickly add or replace your own artwork easily. Hope you like it. Enjoy!